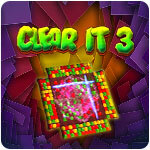 Clear It 3 Game - Download and Play Free Version! 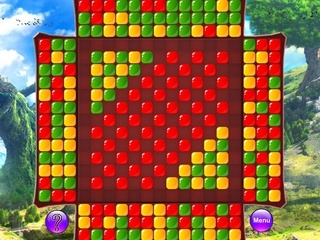 Pass 205 levels to finish the game. There is a picture made of boxes at the center of the field. At the field edges - up, down, right and left - are located the boxes to shoot with. Select any box from the row closest to the field and clock on it. It will move along straight line until it bumps into another box or the field edge. If, after that, the boxes of the same color appear next to each other, they will disappear. Shoot to make all the boxes on the field disappear. 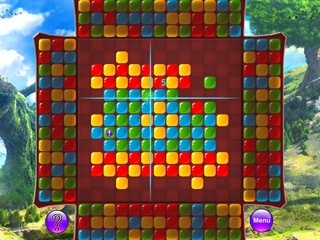 The game time is unlimited, but the complexity grows with the levels. There are three games modes - classic, expert and arcade.